Arts for All has been developing a strategic plan over the past year. This has been developed in consultation with key Arts for All stakeholders - participants, community groups, artists. This was developed by Blueprint Development Consultancy. This project will commence on 27th January 2015 at 1.00 pm with a talk on the artist John Luke at the John Luke Gallery. Arts for All is delighted to announce the recruitment of Lesley Cherry to deliver the consultation phase of a new Re-imaging Communities project. Arts for All is pleased to present its new Annual Report available by clickcking here. The Annual General Meeting will take place on 22nd January 2015 at 1.30 pm. 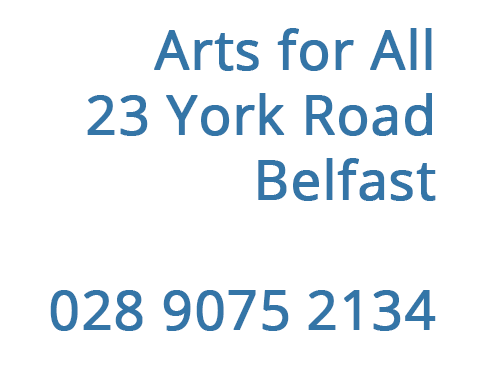 Arts for All is delighted to have been nominated for the community arts award with the Allianz Arts and Business NI Awards 2015. Arts for All is delighted to host an exhibition A Cultural Exploration by Aaron Burns who is a great nephew of John Luke. Launch Thursday 8th January 2015 6.00 pm-8.00 pm. 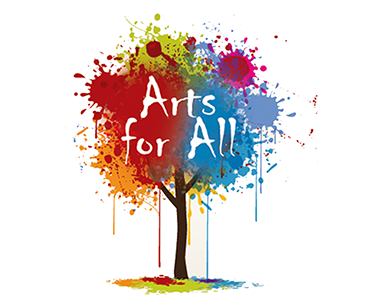 Arts for All has submitted a response to the draft budget from the Northern Ireland Executive which is currently out for consultation. Arts for All has received funding from the Arts Council of Northern Ireland's Re-imaging Community programme. This will fund a creative consultation process with local residents with a view to designing a new piece of public art work for north Belfast - in the York Road area.